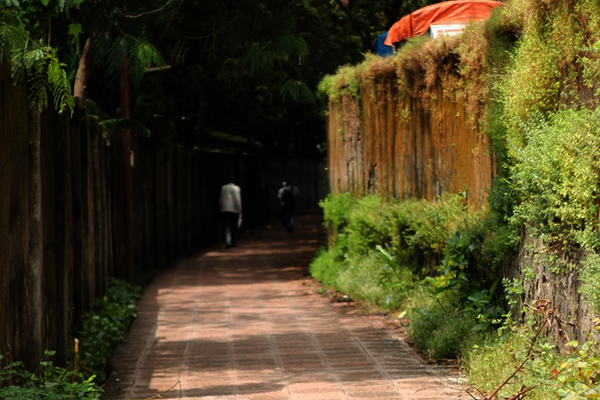 I recently had to go to Lower Parel to meet a friend. I had never travelled in the Local and decided it would be a good idea for this trip. When I reached the station I asked a kind man for directions to the mall I had to reach and he pointed to a small opening in the railing of the platform. I looked at him a bit bewildered, but as I was a early anyway I decided to check it out. What that tiny opening lead to was one of the most unbelievable roads I’ve ever seen in a city. I wen’t back again to click some photos and to be sure if it really exists. I asked quite a lot of locals if they’ve been on this road and they hadn’t. But one guy did tell me there is something similar near Goregaon (must check that out too). If you’re in Mumbai, I say you should go check it out. I’ve made a small map to help with the directions. 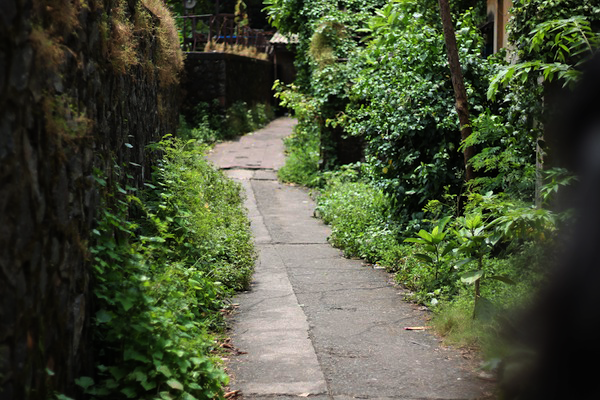 :O I used to walk this path from Lower Parel station to get to work everyday ! It was like a tunnel that seemed to deliver me from the station right to the doorstep of my office in Phoenix mills. The other road was to go through the station bazaar all the way to Senapati Bapat Marg and then down the chaotic messy road. I was long gone from Bombay by the time monsoons arrived so I never got to see it all green and magical :) Thanks for sharing ! Awesome! I added the map to the post as well. Thanks Arun!